"How To Have TOTAL Wealth Abundance By Automatically Training Your Unconscious Mind!" you can finally be on the little trodden path to lasting wealth. Overcome every emotional obstacle to wealth! Wake up your Inner Financial Genius! Leave the "time-money" trap behind – forever! Become rich no matter what your current income is! Start "Abundance Thinking" that works in the REAL world! Easily adopt the Wealth Mindset! Keep getting richer – in ANY economy! New ways to deal with money give you greater access to wealth immediately – even if your income doesn't change by a penny! Money Expanding Mind Exercises (MEMEs) subconsciously reprogram your mind so you think like a rich person. Myth-busting breakthrough information exposes dangerous lies – not only from the mass media, but also from other (misinformed) wealth gurus! All you have to do is watch one video (about 60-80 minutes) a day for 15 days. You will have brand-new financial optimism in two weeks or less. You may see results very quickly. Your confidence will improve and you will realize wealth is truly possible for you. This course is different because it's based on real-world solutions and delivered by one of the world's best and most knowledgeable teachers on the subject. Igor has a long, strong track record of helping clients and students get results. That's why The Money In Your Mind Will work for you. Click Here to Get Wealthy! Whatever money issues you may have experienced in the past (or right now), I understand. I have been in the same position – or worse – myself. More about that shortly. Right now let me tell you, my financial problems FORCED me to find an ethical, sustainable way to get and keep more money. If you would like more money yourself, and you've been frustrated or disappointed by what you've seen, heard, or tried so far… I have some important news for you. Until now, I have never found a program that gives clear, straightforward information for the average person on how to become wealthy – and includes all the necessary steps. So, based on how I found my own way out of poverty, I built that program. Before I tell you about what's in it, let me tell you how I built it. I read about 30 books on wealth and business. Took extensive notes. Sifted and sorted the information. Kept what worked and tossed the rest. What I have learned that really works, coaching Fortune 500 executives as well as entrepreneurs who have vastly improved their finances based on my guidance. Important: I made many mistakes along the way and learned from my mistakes. Making mistakes was the only way I could have learned some of the things you will be reading about in this letter. Please read every word of this letter very carefully. It's important for you to understand why anyone can get rich and why so many wealth courses don't give you the whole story. The first thing you need to know is about the Wealth Learning Triangle. 3) Outer learning: simple actions you can take that create wealth for you in the real world. 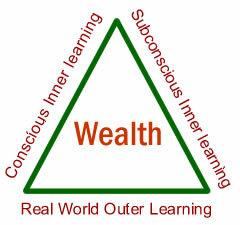 Many courses focus only on one or two sides of the Wealth Learning Triangle. That's not enough, and that's a major reason so many people fail financially. It's not their fault. They simply don't have all the information and instruction that's required to become wealthy and stay wealthy. I sincerely believe I have the first and only training that adequately covers all three sides of the Wealth Learning Triangle. This training is easy. All you have to do is watch one video a day (60 to 80 minutes) for 15 days. 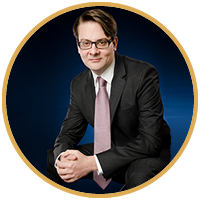 Igor is a British lawyer (graduate of Exeter University) who stopped practicing law in favor of pursuing a more personally meaningful career. In his legal experience, he met many of the world's truly rich who are "behind the scenes" from the public view. This led him to understand how "serious money" works from an insider's perspective. Today, Igor is author of multiple best-selling books, plus more than 70 different training products and seminars. What's more, Igor is a Certified Success Life Coach and Trainer. He has coached thousands of people worldwide, including high-powered executives in Fortune 500 companies. As an entrepreneur, Igor is partner in a fast-growing international training organization. He knows first-hand what it takes to start from scratch and build meaningful wealth. Because I have used a combination of accelerated-learning instruction, subconscious visualizations, and breakthrough real-world information about building wealth (not previously available to the general public), you will experience rapid improvements in your attitudes, actions, and outlook – just from watching the videos. Only about a dozen people have seen this information until now. Based on what they have told me so far, you will also experience important positive changes in your financial situation right away. I'm ready for rapid improvements! When I first started in my career, I believed strongly in the books and courses about prosperity thinking and visualizing goals. I followed every instruction to the letter – but I didn't get all the results I was hoping for. Because my job involved international finance, I got to meet truly rich people first-hand and work closely with them. It became more and more obvious to me that there was a gap between what was written in the "get rich" books… and reality. Interestingly, the information in books and seminars wasn't wrong… it was incomplete. People like you and me weren't getting the whole story, and only knowing part of the way to being rich was not good enough! But there was a tragic human side to this that really upset me. I started to see people losing their homes… having their families put in danger… even facing total financial ruin… all because they hadn't been given vitally important pieces of the puzzle. Well, to be blunt, this HORRIFIED me. Does the person teaching the course bring knowledge and experience from the real world? This is important because many people get rich mainly by telling others how to get rich. But if you probe a little, you find they have no earthly idea of all the steps the average person needs to take in their own life. Igor has helped small business owners increase their incomes. He has also worked in International Banking and Fortune 500 companies, and he has built a successful international business. All before he ever taught a course on making money. Does the course cover practical steps for the inner mind and the outer world, in a systematic and easy-to-follow way? Some course focus on "prosperity consciousness" and seem to assume the rest of the wealth equation will take care of itself – almost as if by magic! Other courses focus primarily on business and financial strategies. Igor's course covers every step, starting with your Inner Wealth Blueprint and continuing all the way through to financial freedom, constantly increasing wealth, and beyond. Does the teaching method harness the latest advances in neuroscience and accelerated adult learning? Some teachers seem to operate on the assumption that if they give you their expert information, you will somehow transform what they told you into never-ending wealth. Sadly, good information by itself simply isn't enough. If it were, then all librarians would be multi-millionaires. Igor sees the bigger picture of how people learn, change, and take action. He invested over $120,000 to learn from every living expert in subconscious teaching, in order to become highly proficient at teaching both the subconscious and the conscious minds – in an engaging, non-obvious way. He uses the latest advances in communication science to make learning and transformation super-easy for you! My grandfather, a self-made entrepreneur, was VERY rich. My parents were proud and they wouldn't take handouts. So, when I was a pre-schooler, we ended up bouncing between great luxury on the weekends (when we'd visit my grandparents) and a life of fairly modest means the rest of the time. My grandfather died when I was five, and the family fortune practically evaporated before our very eyes. My father had to work REALLY hard and my family life from then on was comfortable but by no means wealthy. Very middle-class. Fast-forward to my early 20s. I had graduated from law school in the UK. I was using prosperity thinking and I was visualizing my goals. And, I made what I thought was an enormous salary. The prosperity thinking was working! Put quite simply, I was making all this money, and I was flat broke at the same time. It took me years to figure it out and replicate, in my own life, the financial glory my grandfather had created for our family before he died. I didn't do it alone. I had a lot of help from people you may never have the opportunity to meet yourself. And I would like to share what I learned, with you. I'm ready to learn the Wealth Secrets! As I sorted things out for myself and began to accumulate a lot of wealth, I realized the same teaching style I have successfully used to help thousands of people to gain more personal power and influence, would be required to help people get wealthy. My approach to teaching wealth, in a nutshell, has been to map out the entire "learning journey" a student needs to take, to arrive at a certain level of capability. Then, I break things down into the smallest, easiest set of skills and knowledge needed to achieve that learning goal. And THEN, I would use my own skills to prepare the student's SUBCONSCIOUS mind to receive each portion of information or skills, before I would explicitly, literally, blatantly teach the same information or the same skill to the CONSCIOUS mind. This sped up the learning process and increased retention of knowledge in a big way. If you have ever taken any of my trainings, then you know what I'm talking about. And now you know why they work so well. Being wealthy is a mindset; a certain way of doing things with money; and a lifestyle. I worked for years to find the best way to transfer the mindset; the knowledge; the behaviors; and ultimately, the way of being wealthy in the world – in the most efficient way possible. "I Crushed My Debt Completely In 2 Months (around $40,000 USD)"
"Very effective, simple and fun way to implement. I crushed my debt completely in 2 months (around 40,000 US Dollars). "It really is worth the investment." When I was satisfied that the training was ready, I offered it as a private, exclusive seminar to my subscribers in December. Over 650 people applied for only 9 spots. We gave this private seminar in a $16 million mansion in a very exclusive part of the Bahamas. This is the kind of thing that happens in a wealthy family. The information is shared casually, conversationally. In the home. Privately, among family members. It was nearly 10 times harder to get into this seminar than it is to get into Harvard Business School! And people paid thousands of dollars to fly on short notice from as far away as Australia. And How You Can, Too! "New Insights And Actionable Strategies"
"I have to say that this is one of the most unique products of it's kind, and I have been enjoying and receiving a great deal of value from it. "Like most, I have other money-making courses, some better than others, but I really gleaned a lot of new insights and actionable strategies from this course. Thank you." "I've been wanting to let you know how The Money In Your Mind program has opened my life and mind up to a whole new world of wealth possibilities! "Not only is Igor a great teacher, but the entire program is interactive, fun, and, well, quite frankly, IT WILL BLOW YOUR MIND! "Because of this exciting program, I've been able to create a long-lasting foundation for wealth-buiding that's flexible, dynamic, and that I'm capable of following; and I've known next to nothing about how money works before. "Because it's geared for everyone, it means that there's no limit to the creative adventure of the money that's in your mind when you know how to find it. And it's all right here as Igor shows you how!" "Thank you Igor. Once again you have over delivered with this life changing program. "I say life changing as my 15yr old daughter has now developed a whole new attitude and belief in herself and her ability to have the future of her dreams. "She has allready started saving and learning all she can about investing and how money works because she has come to understand the principles of having the money work for you which is a big reality shift for a teenage girl who before watching the videos only thought of money in terms of new clothes and make-up. "So on behalf of my daughter and myself thank you very much." "Best Roadmap To Financial Success"
"I think Igor's Money in Your Mind videos are the best roadmap to financial success that I have ever seen." "A first class program that should be required viewing for everybody 14 years old and older. "I will be using this course to educate my son as he grows, and with a view to eliminating mind viruses before they begin. Thanks! "The 'Money In Your Mind' program was a real eye opener. It's the first program of it's kind that I have encountered that really focuses on changing our internal beliefs and perspective toward money so that we can get out of our own way. "Aside from that, the section where Igor talks about how he structured and grew his information business got me to re-evaluate my own information business structure and plan, so I got twice the benefit from this program. 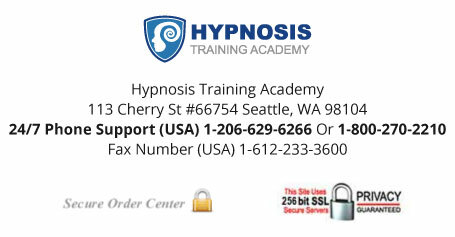 "Easy to use and powerful.100s of times better than the competition"
"I am A New Man"
"First I want to express my gratitude to Igor for putting this program together and pricing it so that folks like me who are deep in debt could afford to participate in this life-changing program. "The effects on my life regarding, how I spend money, my determination to crush my debt, and generally to change my outlook on life, are truly paradigm busting. "I am a new man." "I really enjoyed The Money In Your Mind videos. It was a real eye opener. "Igor teaches the importance of a wealthy mind set and knowing how to exchange value to become financially independent. Thank you!" "So Many Powerful Tools To Help You Achieve Financial Independence"
"The Money in your mind is excellent: it has been very professionally shot, the sound is very clear but the most important thing is that the content of this program is incredible!!! "I have never heard so many valuable things on the money mindset and so many powerful tools to help you achieve financial independance. "I strongly recommend this program for anyone serious enough who wants to take charge of their financial future. "Thank you so much Igor." "I would very much recommend the Money in your mind course having completed it a few months ago. Having done the daily audios and watched the videos several times it has now brought me a fantastic new income stream. "Usually over the Summer months we are very quiet and wonder where the money will come from over the 6 week holiday term. Since doing this course we have brought in an unexpected income source and earnt more money in the Summer than ever before and in a recession!" "I am completely blown away by everything Igor says in the videos. I have never thought about money the way he does. "If everybody would apply his rules, there wouldn't be any more people falling into the so called scam of debt. Thank you for opening my eyes. I hope you will open the eyes of many more. "I found the Money In Your Mind Program to be the most detailed and intensive program on the aspects of wealth creation. "Igor, left nothing to chance and gives you a complete blueprint to getting yourself aligned to the power of your mind to make you rich." I have experienced drastic change from the program. Being more self-confident and independent." "It's never to late to learn but I wish I'd known this information 40 years ago! What a difference my understanding of money would have made, not only in my life, but in the life of my now adult daughter. "However, as I say, it's never too late to learn, so I had my daughter watched these videos with me and at least she now has the benefit of the years ahead to really work with what she has learnt from Igor. "Thank you for not only impacting my future, but more so hers. Igor you have taught her what I didn't know to teach her, and I can't thank you enough for that." "Investing in this course is one of my best financial decisions to date and thank you so much Igor! "Thoroughly enjoyed the videos, and have been applying their lessons in preparing for early retirement at the end of the year. Retirement will be followed by fulfilling a life-dream, moving to rural Ireland, there to live in a financially free lifestyle with my family. "I am clear that this training (and other of Igor's trainings over the years) have contributed significantly to these developments." "The content is priceless. This is extremely insightful information. It's as though I'm hearing secret behind-the-scenes information about how wealth really works. "It's like getting a channelled Charles Haanel, Wallace Wattles, and Napoleon Hill all in one but with Igor's amazing, unique, calm, yet energetic delivery. "I'm doing the work and I'm seeing results, just taking it in at a pace where I can own it." "Best Investment I Ever Made In Myself"
"Money in Your Mind is the perfect course for anyone who needs to get their financial "act" sorted out once and for all. "It contains everything you need to know in order to "debug" your mental software and create and maintain real and sustainable wealth. "Without doubt, it's the best investment I ever made in myself." Why the rich keep getting richer – and what keeps everyone else from ever getting rich! Find out if you are infected with the "poverty virus" – and how to cure it forever! Right now, you needlessly limit how much money you can have. How to change that! The biggest lie you've been told about the rich and their relationship to money (knowing this alone improves your financial situation instantly)! Turn on the part of your brain that is very good at making you rich… and keeping you rich! SESSION 3: Destroy The Poverty Virus So Wealth Can Flourish! The one kind of purchase (regardless of price) you should always avoid! Money mistake that's as foolish as marrying someone you don't even know! An easy lifestyle change that is worth millions of dollars to you! Low-income miracle: how an unskilled laborer built a $4.5 million fortune! How your inner financial genius will turn problems around for you – pronto! How feeling REALLY good will make you richer! Click Here To Tap Your Own Financial Genius! SESSION 5: How to Grow Your Wealth On Autopilot! Let the power of your subconscious mind lead you on the proven path to wealth! What an old farmer knows about lasting wealth (that many sophisticated "city slickers" are clueless about)! The one investment that repays nearly an unlimited amount of dividends! Your super-simple 8-Point Plan to prepare you for massive passive income! An easy way to turn cash "outgo" into money in the bank! The 10-letter word that will turn your financial life around! A new approach to giving (not traditional charity) that automatically builds up your financial intelligence – and your actual wealth! The one "make money" trap you must avoid at all costs! Don't get your role models of wealth from TV and the movies! Toxic thinking that keeps people poor – how to wipe it out in the blink of an eye! Click Here To Say Goodbye To Debt! SESSION 8: How To REALLY Make Money While You Sleep! their secret at any level of wealth! Letting others help you is good – but don't ever outsource or delegate this one activity! A 10-second test to determine if a passive-income vehicle is right for you – or not! How to automatically "fine tune" your subconscious mind to "zero in" on the right passive-income opportunities – and steer clear of the wrong ones! The complete step-by-step Wealth Formula – so simple, anyone can use it. So powerful, it can make you a multimillionaire! The first thought that occurs to every rich person – this will totally revolutionize your life! How to create a real-live, totally legal money machine! Why most people struggle in business and the one skill-set you need to instantly change that! How to find million-dollars ideas when other people are moaning and whining! SESSION 11: A Simple Mental Shift That Turns Ideas Into Instant Cash! Easy way to start a 6-figure business you know nothing about – from scratch! How to convert ordinary (even weird) business concepts into money! – how to tap into your personal Hall of Geniuses "on command"
A proven method to escape the old "time is money" trap! How to scale up wealth accumulation faster than you ever thought possible! Ignore false warnings about money's negative effects. Why the Wealth Lifestyle is 10 times better than the one you have now! The best, fastest way to build your Success Instincts and profit from them! How to set goals so you are practically GUARANTEED to succeed! The two types of people you want to hang around to increase your net worth! The difference between self-delusions and self-fulfilling prophecies (one pushes you into poverty; the other makes you a multimillionaire)! Click Here To Speed Up Getting Rich! What "The Secret" left out – that is, what you really want your mind to do for you to become wealthy! The practical difference between Scarcity and Abundance Thinking – and how real Abundance Thinking can create limitless wealth for you! Why feelings can make you rich! How to condition your mind so you never run out of anything! Click Here For Advanced Money Secrets! Little wealth-destroying actions poor people take that billionaires avoid like the plague! The immense harm caused by the saying "It is better to give than to receive." How to undo the damage, and give and receive joyfully! Why the rich keep getting richer – and how you can, too! Yes, that's a lot of information! I truly believe – and I think you'll agree – this is the most comprehensive, practical, and effective training on getting rich ever offered! Now the Videos contain enough MEMEs (Money Expanding Mind Exercises) to automatically transform your wealth thinking and actions, starting at the subconscious level and carrying through into the your daily life. 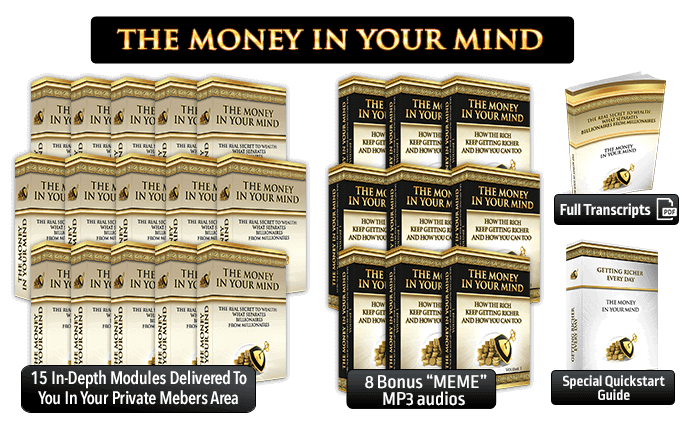 These 8 MEME MP3 Audio Sessions… to LOCK IN The Valuable Wealth Mindset Changes! "I discovered a lot of excellent tools in respect of stop wasting money - and intelligently saving money. Additionally I was able with those brilliant MEMEs to open my thinking and my perception to new ways of making money. "As a consequence, I am in the preparation of a cooperation with a VC-Fund which can have - if carefully and intelligently prepared and implemented - a major positive impact in my life and my desire to achieve financial freedom.
" I can joyfully say - already after this short time - to use the Money in Your Mind program was the best decision for my financial affaires over the last 2 decades.
" I more and more discover it is a MUST HAVE for people seriously interested in accomplishing wealth, financial freedom." Relaxation is the cornerstone of rapid learning and deep change. A powerful overview of how MEMES work to relax you, and how to use the MEME MP3s. This session gently sets the pace for the inner changework that happens automatically. Any remaining stress just drifts away as you create spaces in your subconscious for the journey ahead. You'll personalize your transformational journey to fulfilling wealth through 4 special MEMEs that create even greater relaxation… and identify your built-in motivation to make it easy for you to keep going. "The training Videos are excellent. But the bonus exercises in this session, the MEMEs literally blew my mind! I have several subconscious trainings by Igor that I listen to daily - but wow! "The MEMEs have had an incredible effect on me. Much clearer and happier, and more balanced. "They are worth several times the cost of the course alone! Way to go, Igor! Everyone should get this course!" Many people unknowingly turn wealth away… often, in fact… because they don't have inner permission to accept it! This audio session changes that by creating the subconscious environment where it is perfectly OK to accept wealth, and this allows you to flourish like you never have before! It's true for many people: keeping the money you make is harder than making it in the first place. The four MEMES in this session transform that tendency for you and make subconscious changes so doing what you need to do to keep what you take in will now be easy for you. "Thanks again Igor. Your Money in Your Mind program represents true, outstanding value. "The MEMEs alone are priceless and totally congruent with the simple, easily absorbed natural mastery in which you deliver this program. "This program has an instant, abundant ability to transform lives! I truly believe everybody should go on the amazingly easy and exciting Money in your Mind adventure. Now, what are you waiting for?" reframed from "barely possible" to "certain to occur." The most practical of all the MEME Sessions – and yet, it taps into the vast storehouse of your creative subconscious to ease things into getting done. The result is an abundance of wealth for you. "Igor Has Cracked The Code On Wealth"
"One, people who have not yet made a lot of money really didn't have access to great advice like my clients did. Two, these investors have a very different mindset from the average person, the average American or Western European citizen, and a different way of looking at money and thinking about money. Igor has once again created a product where he teaches step-by-step fundamentals of how you can adopt some of the strategies that the ultra-affluent use to create their wealth. "Not only that. Significantly more important in my mind, he teaches you the mindset because there is a massive difference in the way the ultra-affluent look at money and the way the average citizen does — and Igor has cracked that code. "So, if gaining massive amounts of wealth and really changing the way that you look at and think about money is important to you, I can tell you that this is a course that you need to own." Easy MEMEs you can use regularly to reinforce and expand your wealth consciousness. Includes a special "reset" session – if overwhelm occurs, use this MEME to dissolve stress and restore peace of mind right away! And that's just a small portion of the life-changing, wealth-building value I packed into this training. You might be wondering how I put together the curriculum. First, I made careful note of all the questions, problems, and gaps in knowledge from people I was talking to: subscribers, customers, friends, and colleagues. What information and skills were I missing when I had embarrassing financial failures? What information and skills did I then get that led me to my most satisfying and significant financial wins? How All 3 Sides Of The Wealth Learning Triangle Assure You of Maximum Ease Of Learning… And Great Results! If you're not totally confident in your ability to help another person solve a financial problem, then The Money In Your Mind training will serve double-duty for you. Imagine how easy it would be to loan one of the Videos to a friend or family member --- and how much more empowering the gift of practical knowledge would be than a financial loan they would have to repay – only to get back in the same problem in the future because they didn't learn how to avoid it. Besides, there'd be no pressure at all with the loan of a video. And most people will watch a video if you ask them to – especially if it's relevant to something they're struggling with. This could be especially helpful for the young person getting started in life… the older person struggling with their finances… or even a long-time friend who just needs some help. Bottom line; the Money In Your Mind is not just for you – it's for your friends and family, too! MEME stands for "Money Expanding Mind Exercise," and they are a very part of the Wealth Learning Triangle. To review, MEMEs are powerful subconscious wealth abundance training sessions to help you internalize the principles and actions that will speed you along the way to great financial abundance. Again, in addition to including MEMEs in the seminar Videos, I am also giving you 8 audio sessions to listen to whenever you like, to strengthen the lessons and deepen the financial learning. create wealth for you in the real world. It's important to me to give you the full picture, because this may be the only opportunity you'll have anywhere to get it. Reserve a copy for me now! Then you get 8 mindset-strengthening MEME Wealth Abundance sessions – that's 8 additional hours of life-changing audio you can use anytime you want. Finally, you get a one-hour quick-start session to help you get the most out of the training. That's a total of 24 sessions. You can watch one video per day (most are 60 to 80 minutes) and complete the entire training in just 15 days! But if you're like most people, you will feel the internal changes, and notice positive changes in the real world, much sooner than that! When I originally gave this training in December in the Bahamas, it was valued at $9,997.00. Those who took the training then agreed it was worth that much – except a few financially savvy participants who took me aside and privately told me it was worth much more. They said it was because I disclosed material they knew for a fact is otherwise only available in very exclusive and private circumstances: in wealthy families… from "insider" wealth advisors… and from self-made millionaires (and billionaires) who have little reason to share these secrets with the public at large. So, with that in mind, my business partner Cliff and I decided $997 would be a fair price for this training. But I wasn't happy with that. I stewed on it for a couple days and because I want to get this out to as many people as possible, you can get the entire package for just $397. That's a total "no-brainer" now. policy with an unconditional 60-day risk-free guarantee. Go ahead and take advantage of this limited time offer today. See for yourself how powerful it is for helping you become richer quickly and MUCH richer down the road! If for any reason you're not thrilled with your decision to try out The Money In Your Mind contact our friendly customer support within 60 days and they will issue a prompt and courteous refund. It's that simple. 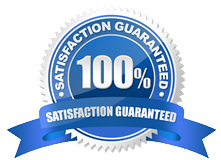 And the 60 day guarantee doesn't start until we ship the program to you either. The bottom line: You risk nothing to test-drive this amazing, life-changing system in the comfort of your own home. Isn't it about time you had the money you have wanted for so long? Re-program Yourself For Wealth Today! Yes, Igor, I'm ready to receive your training that automatically reprograms my mind for wealth! EXTRA BONUS! Download of the full, indexed transcripts of the 15 videos. And a 60 Day 100% Money Back Guarantee. All for the insanely low investment of Only $297. Author Of The Best Selling, "The Deep Trance Training Manual"
The sooner you get started on the simple yet stunningly powerful techniques revealed in The Money In Your Mind, the sooner your financial picture will start to brighten dramatically. "Igor Has Cracked The Code On Wealth. "I'm here in the Bahamas at The Money In Your Mind training. I've got to tell you, Igor has once again created a product where he teaches step-by-step fundamentals of how you can adopt some of the strategies that the ultra-affluent use to create their wealth. What this program offers is a way to really break through the thing that's holding you back, which is always yourself. It's always something inside of you that's keeping you from the things that you really want and believe that you deserve. Absolutely, and without a doubt, The Money In Your Mind has put me over the edge into a new way of thinking about money, about abundance, about wealth, and really about offering value so that it's ethical and moral. It's about making money and changing your life in a way that everyone wins, and not just you. I was very pleased that Maureen felt that way, because I worked hard to put this course together so people could see a way to becoming wealthy and staying true to their values. Take this opportunity now to see if this is what you've been looking for as well. P.P.S. And here's more feedback from people who are using The Money In Your Mind to change their lives for the better..
"I have always had limiting beliefs in my ability to handle money responsibly. I feared looking at my bills as if that was the magic potion to make my debt disappear. "This program has changed my mindset and taught me to not be in fear of money and let it manage me, but to be proactive with money and manage it as a resource. I no longer live in fear of debt and am now excited and up to the challenge of eliminating debt and building wealth." "I'm going to show this to my children!" "Really enjoyed the program, it is very appealing to both conscious and subconscious mind. Makes you want to start taking action immediately." "Amazing information delivered very effectively. I learned more in this program than any other program about money." "The Money in Your Mind course is outstanding! It gave me a whole new perspective when thinking about money. I am extremely motivated to put these ideas into practice in my own life and to reach levels of happiness and success much easier and much faster using the information I've learned in Igor's ""The Money In Your Mind"". THANK YOU IGOR-ALEXANDER!!! “If you've ever wondered why the rich get richer and the poor get poorer.... If you've ever asked yourself why you get money and then it seems to slip through your fingers.... If you're frustrated that you can't seem to make any real money...Igor and his Money in Your Mind programme have THE answers you are looking for. Money in Your Mind reveals to you, step by step, how you can make money, how you can keep it to make more money and how you can also spend money. "The information presented in the videos is well worth the price. I have found a lot of value in these videos and really appreciate Igor's work. What’s great about it is the extra dimensions Igor covers, adding the mind exercises is what makes the program a beautiful piece, different from anything you'll find on the internet. "A well rounded approach to accumulating wealth. Too many of the other wealth courses out there forget that there is another component in making things a reality.... that of clearing and replacing the negative clutter in the mind and replacing it with more appropriate and beneficial programs and beliefs systems. I have enjoyed the MEMEs on CD 4." "If I were to pick one product to buy, this would be it. Whether you are doing well and want to do better, or just haven't been able to make things click financially, this system will get you on track and gives you the tools to keep moving towards your goals." "I have found "The Money in Your Mind" training to be more than promised. I have been surrounded by successful people most of my life. This information provides an insight unlike I have heard before. It was a "study of the wealthy and financially blessed," how they think and how they continue to attract success. "This is information the finest universities can never teach, but should. Lives can be more improved and dramatically changed with this information. It should be required; in fact, students should receive college credits for the course! "With the combination of accelerated-learning instruction, subconscious visualizations, and real-world wealth building information you can only succeed. And the Wealth Learning Triangle made it so easy, so comfortable anyone has the opportunity to turn their lives around from any position they are in now. "Thank you for the opportunity to move my life ahead and build something not only for now and our future, but also for my grandchildren. Igor...you're a genius!" "Igor's Money in Your Mind program is a great financial success 'starter pack'. Containing information, related through real-life experience and backed up with excellent learning tools to help the viewer master the information quickly, this isdefinitely the most complete singular information package dealing with financial and person success I've found to date. "Highly recommended, especially in these financially difficult times. Great investment for yourself, an even better present for loved ones." "Most financial programs teach only on one level. The Money in Your Mind program teaches the student on multiple levels. You learn the information at conscious and other than conscious levels of mind. "The program teaches you about wealth in a way I have never seen any where else. The information presented really makes you think in a new way. The program contains so much information that I plan to study the DVDs many times. "I think this program should be taught in public schools as most students would have their lives greatly improved by learning this information." "The Money in Your Mind program is completely congruent and consistent with all I have studied over the last 25+ years from all the greats: Napoleon Hill, Zig Ziglar, Denis Waitley, Claude M Bristol, Norman Vincent Peale, Richard Bandler & John Grinder, and more. Highly recommended." "I believe this course should be included in the high school education so that the students know how to build the wealth from the ground up. The way Igor presents this course is quite unique compared to other similar courses related to wealth on the market." "The Money in Your Mind Program gets my highest recommendation. I used to have a financial planner who took care of my finances for quite some years. Unfortunately, I lost a significant amount of money over the last decade. I had no financial education at all and believed every word this guy said to me. I reasoned that he had an education which I didn't have and therefore he certainly had to know better than I did. "Well, this changed radically after I started listening to the money in your mind program. It became clear to me that I had outsourced my financial wellbeing to somebody else and in order to get wealthy I had to change this situation. "As Igor recommends, I started to educate myself on finances, investing and economics. I started listening to the MEMEs regularly in order to change my inner blueprint. I developed my own wealth strategy and started to act upon this strategy. "After a few weeks, I felt absolutely capable of managing my finances on my own. Now the time was right to fire my financial planner, which was not easy but it had to be done. I feel much better now that I am responsible for my financial wellbeing. I am deeply grateful to Igor for making the money in your mind program available, this program has the power to change lives in a very positive way. With highest regards, Werner." "The information was good and I am applying it to my life. Especially the idea of the different accounts. I am also starting to pay attention to how I spent my money as well as paying more attention to investment books and exploring different ways of earning money. "The best part is, as I am listening to the CDs everyday and night, everything is so effortless. The key thing is Igor did not just create a product for wealth... he actually created a product that possibly could solve your self esteem, unleash your innate intelligence; and create a healthier you... and for this.... Thank you Igor. I thank GOD for a person like you that bring amazing gifts to this world."